Being the data nerds that we are, we decided to get some data to help us answer the question. Unfortunately, since the Atem costs 3,680RMB (550USD) in China, we just didn’t have the budget to buy and test an actual unit. However, in true Smart Air fashion we DIY-ed our own version, and put it to the test! 1. Can the IQAir Atem clean a small room? Looking at the official numbers from the IQAir Atem tech specs, the Atem has a CADR of 13 cbm/hr. That makes it good for a space up to 1.4 sqm according to the AHAM 2/3rds rule. In short: the IQAir Atem can’t clean rooms. With a CADR that low, unless you’re living in a closet, it won’t clean the air in the entire room. But wait: I’m kind of missing the point. The IQ Air Atem wasn’t designed to clean a whole room (IQ Air customer confirmed this in a chat). So let’s get to the more important question. The IQAir Atem is a portable purifier. It’s only supposed to shoot clean air into a small area around the purifier, giving clean air to whoever’s sitting next to it. If this is the case, there shouldn’t be a need to clean the air in the whole room. This method could be more effective and efficient than cleaning the whole room, but is it? 2. How effective is directing clean air at your personal space? To find out how effective it is to direct air in a specific direction, we modified the Smart Air Blast Mini to mimic the Atem. To do that, we created a nozzle similar to the “PureJet diffuser” on the Atem. Then we tested the air flow. The air coming out was strong. Windspeed was 3.52 m/s out of the nozzle. 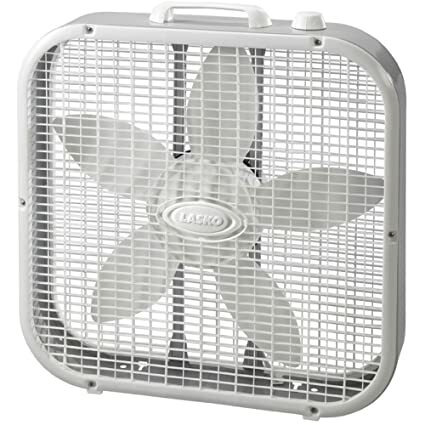 For reference, that’s what the air flow would feel like if you were standing about a step away from this box fan. That means the machine is putting out 25 cubic meters of air an hour, based on the size of the nozzle. That’s pretty close to what the Atem gives on its high setting (30 cubic meters per hour). From this we deduced that our prototype gave a decent replication of the Atem. Next we used a laser particle counter to measure the particulate at different distances away from the Atem-style nozzle. And then plotted this data on a graph, showing amount of clean air delivered for increasing distances away from the fan. Here’s what we found. So how far do I need to be from the purifier? At a distance of 30 cm from the purifier, the air was about 50% cleaner than the air in the rest of the room. That’s all right, but it’s far below the results of purifiers cleaning air in the whole room. But remember, 30 centimeters is the length of an average ruler. That means this thing is blowing right on your face. You’d be so close you could swing your neck and bite the air purifier! Results at a comfortable distance from the fan: At a more reasonable distance of 60 centimeters (about the distance of an outstretched arm), the reduction in particulate was 25%. Once you get out of arm’s reach (70 centimeters away), the effectiveness drops below 20%. Below 20%, I think a lot of people would say the reduction is so small it’s not worth the hassle. Bottom line: it seems like portable air purifiers that direct air at you do work, but you need to be within 30 centimeters of the purifier to breathe significantly cleaner air. At an arm’s length away (60 centimeters), particulate is 25% lower. The IQAir Atem does well at noise. On high, it’s 44 decibels. That’s a comfortable level for most people, which is good considering it’d be sitting right next to you. The Atem is designed to be a personal space, portable air purifier. If you’re always on the move or have to commute to and from work, the Atem would need to be portable. So is it? The Atem weighs a whopping 6.3 pounds (2.8 kg, including the stand and power supply). That’s like carrying three 2015 MacBook laptops in your bag (specs). So it’s not impossible to carry around, but it would be heavy. In the past, travelers on business trips have stopped by our Beijing office to buy a couple of DIYs for their travels around China. The DIY1.1s aren’t tiny, but some people have packed them in their suitcase! Find yourself a fan and a filter, and you could be in for a much more budget-friendly option! Bottom line: The IQAir Atem portable purifier provides a modest amount of clean air within an arm’s length of the purifier. Beyond that, it’s close to useless. If the Atem doesn’t fit into your budget, you could opt to find your own fan and DIY your own purifier, like the DIY1.1 Smart Air provides. Can we measure air pollution simply by looking at the sky?